What?! Hunt that fatso down and drag his fatass home to face charges – pronto! PUTRAJAYA: A company with links to controversial businessman Low Taek Jho had been paid RM8.3 billion or 88% of the contract’s worth, despite completing only 13% of works to build two pipelines in Kedah and Sabah, Finance Minister Lim Guan Eng revealed today. “We have discovered that the payment schedule for the above contracts are based on timelines, and not on progressive work completion,” Lim told a press conference at his office here. The project, worth RM9.4 billion, was given to Suria Strategic Energy Sdn Bhd (SSER), a wholly-owned Finance Ministry subsidiary set up in 2016 specifically to undertake the Multi-Product Pipeline (MPP) and Trans-Sabah Gas Pipeline (TSGP). That payment does not include two other consultancy agreements worth RM525 million, and a maintenance agreement worth RM476 million, awarded to companies from China. The projects, said Lim, were awarded to China Petroleum Pipeline Bureau (CPPB) in November 2016, signed by Irwan Serigar, who was chairman of SSER. SSER’s president is Mohammed Azhar Osman Khairuddin, who is also a director of Putrajaya Perdana Sdn Bhd, a company that Lim said was linked “directly with Low Taek Jho”, the businessman named by US authorities as responsible for the theft of billions of dollars from 1MDB. “I have been informed by Treasury officials that SSER is an offshoot by the same people behind SRC International, a former subsidiary of 1MDB. SRC is the acronym for Strategic Resources Corporation, a name that is similar to SSER,” he said. MPP involves a 600km petroleum pipeline connecting Melaka and Port Dickson to Jitra, Kedah costing about RM5.35 billion, while TSGP, costing about RM4 billion, was planned as a pipeline to connect Kimanis Gas Terminal with Sandakan and Tawau, spanning 662km. 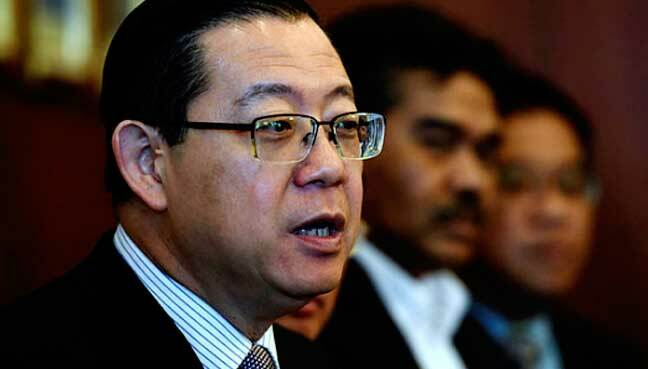 The Cabinet approved the projects on July 27, 2016, with the contracts signed around the same time as the contracts for the East Coast Rail Link (ECRL) project, but Lim said they were negotiated by the Prime Minister’s Department without involving Treasury officials. Lim said checks with the Attorney-General’s Chambers confirmed that the contracts were signed despite numerous unanswered questions and red flags raised. He said he had instructed ministry officers to lodge a report with the Malaysian Anti-Corruption Commission last week. He said based on the agreements signed, 85% of the project value would be paid by March 1, 2018. As such, he said the new government could only ensure the project is completed. He urged former prime minister Najib Razak to explain the transactions. “If necessary, we would seek the assistance of the Chinese government to help trace the flow of funds in China, in order to investigate the possibility of money laundenng. He said last year, SSER had secured funding from China EXIM Bank amounting to 85% of the project value, with the balance of 15% to be raised via sukuk issuance secured with Federal Government Guarantees. Lim said during a briefing to Treasury officials on May 28, SSER reported that the three-year project started on April 2017. “But as at the end of March 2018 or exactly a year later, the MPP and TSGP projects had achieved only 14.5% and 11.4% progress completion respectively,” he said.